Went out with the fam for my nieces 11th birthday tonight. This place called Stamatis that I’ve been going to for the past 5 years since I’ve been with my boyfriend. One of the best Greek places on this side of the ocean. Really amazing, authentic Greek eats. 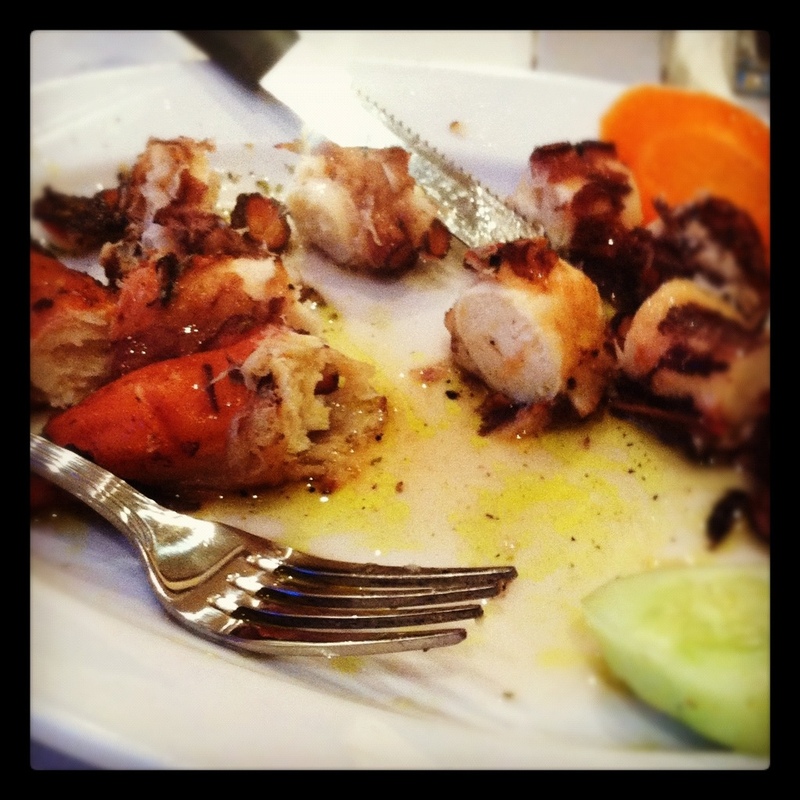 One of the best things there is the grilled octopus. Octopus looks pretty foul when it’s from a sushi bar and people usually over cook it or under cook it, rendering it tough and chewy. Gross. But the way they grill it here, I swear it’s better than lobster. Something you have to taste to believe. The stuffed cabbage is another one of my favorite dishes just for the creamy lemon and dill sauce that it’s doused in. I will definitely be eating my leftovers for breakfast. Fat kid for life.